Authors: Katkova N.Y., Bodrikova O.I., Sergeeva A.V., Andosova L.D., Shahova K.A., Bezrukova I.M., Pokusaeva K.B., Ryzhova N.K. Premature labour (PL) is one of the most actual and unsolved problem of obstetrics. There are many data in the li terature about the role of the disturbed ratio of pro- and antiinflammatory cytokines, neopterin in the implementation of PL. Many authors support the theory of the predominant fetus factor in the initiation of PL. The goal of our research is studying of the characteristics of the local immune status, neopterin and cortisol levels in various variants of preterm labour. Materials and methods. 77 patients were divided into 2 groups. The main group (52 pregnant women with PL) was also divided into 2 subgroups: the first (1A) subgroup consisted of 28 pregnant women with premature rupture of membranes (PROM) without regular labour contractions. Another subgroup (1B) was presented by 24 women with labour activity and unruptured amniotic sac (true PL). In the control group we included 25 women with term labour. The level of the expression of mRNA genes of a congenital immunity in a cervical canal by the test-system ImmunoQuantex (IL1B, IL10, IL18, TNF2, TLR4, GATA3, CD68, B2M), as well as serum levels of neopterin and cortisol. The results were analyzed by standard statistical methods. Results. There were no significant difference in the expression levels of most of the genes of innate immunity between the study groups (p > 0.05). The investigation of expression of TLR4, GATA3 genes in different types of PL revealed a significant decrease (p < 0.05) in patients with PROM (1A subgroup). In addition in the 1A subgroup the inflammation index was higher (Me = 99,5%, p < 0.01). There were no fundamental difference in the state of the local immune status between groups of true preterm and term labour. Analysis of neopterin content among the subjects showed a significant increase in the main group (PL) compared with the control group (p = 0.0064). The comparison of the neopterin level between different variants of PL had a higher index (p < 0.025). The concentration of cortisol in the study groups had no principle difference from the main (PL) group and control group (p > 0.05). The maximum cortisol level was found in the subgroup 1B (true PL), which is significantly higher than in the subgroup 1A (with PROM) and in the control group (p < 0.01). Conclusion. The difference in the state of local immune status in different variants of premature labour demonstrates different mechanisms of initiation of preterm labour. It is likely that the ratio of TLR4/GATA3 and index of inflammation determins the onset of preterm labour. The level of neopterin can be used as a marker of the onset of PL. The increase of cortisol determines the role of the fetus factor in the onset of labour. preterm labor, local immune status, ImmunoQuantex, neopterin, cortisol. Mattison D, Damus K, Fiore E, et al. Preterm delivery: a public health perspective. Paediatr Perinatal Epidemiol. 2001;15(2):7-16. Romero R, et al. Mechanisms of Preterm Labor and Preterm Premature Rupture of the Membranes. In: Texbook of Perinatal Medicine. 2nd ed. Ed by A. Kurjak, F. Chervenak. NY; 2012. ACOG Committee on Practice Bulletins-Obstetrics, authors. Clinical management guidelines for obstetrician – gynecologists. (ACOG Practice Bulletin No. 160: premature rupture of membranes) Obstet Gynecol. 2016;127. Jones NM, Holzman C, Friderici KH, et al. Interplay of cytokine polymorphisms and bacterial vaginosis in the etiology of preterm delivery. J Reprod Immunol. 2010;87(1-2):82-9. doi: 10.1016/j.jri.2010.06.158. Adams Waldorf KM, Persing D, Novy MJ, et al. Pretreatment with toll-like receptor 4 antagonist inhibits lipopolysaccharide-induced preterm uterine contractility, cytokines, and prostaglandins in rhesus monkeys. Reprod Sci. 2008;15(2):121-7. doi: 10.1177/1933719107310992. Osman I, Young A, Ledingham M, et al Leukocyte density andproinflammatory cytokine expression in human fetal membranes, decidua, cervix and myometrium before and during labour at term. Mol Hum Reprod. 2003;(9):41-5. Navolan DB, Vladareanu S, Lahdou I, et al. Early pregnancy serum neopterin concentrations predict spontaneous preterm birth in asymptomatic pregnant women. J Perinatal Med. 2016;44(5):517-22. doi: 10.1515/jpm-2015-0081. Yael Hoffman S, Lee L, Thomas AM, et al. Fetal adrenal gland volume and preterm birth: a prospective third-trimester screening evaluation. 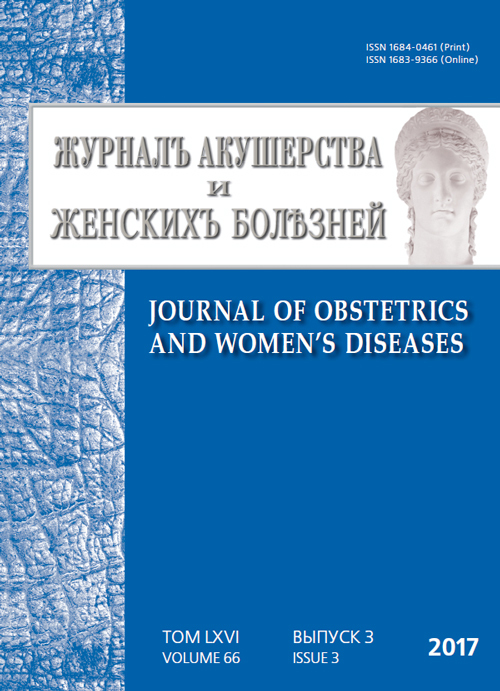 The journal of maternal-fetal and neonatal medicine. 2016;(10):1552-5. doi: 10.3109/14767058.2015.1059811. Petraglia F, Imperatore A, Challis JR. Neuroendocrine mechanisms in pregnancy and parturition. Endocrine Reviews. 2010;31(6):783-816. doi: 10.1210/er.2009-0019.